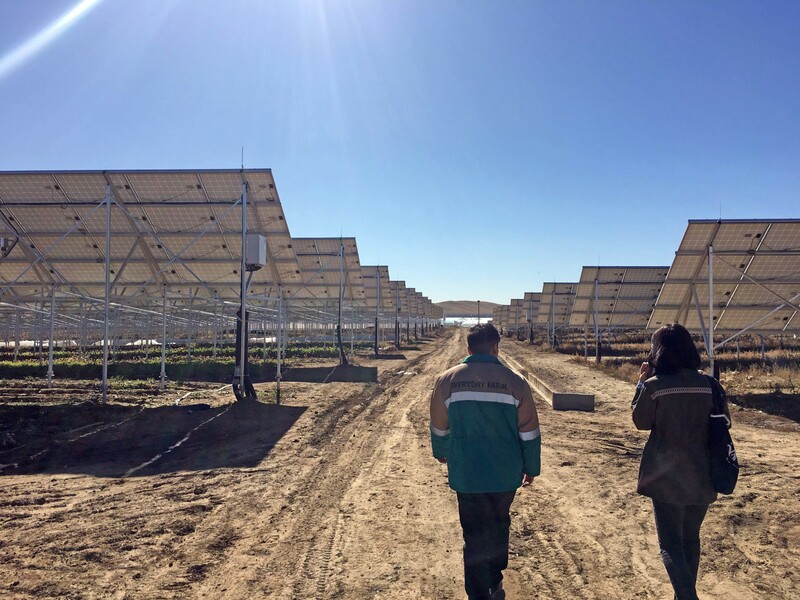 Bayarmaa Lkhagvador (right), a renewable energy engineer walks through a solar farm in Mongolia. Imagine stepping into the shoes of a teacher at Mongolia’s only school for deaf students, or an engineer working to find a solution to air pollution — without leaving your home. Now’s your chance to do just that. Working with a team at Google, World Learning is launching a series of virtual reality tours designed to help young people explore the careers and daily lives of professionals all over the world. On these self-guided tours, you’ll learn how professionals built their careers, the challenges they face, and what skills they need to do their jobs well. First up, we’re headed to Mongolia to shadow the careers of a few of our fellows from the Leaders Advancing Democracy (LEAD) Mongolia program. LEAD Mongolia is a USAID-funded program administered by World Learning that works to build the next generation of democracy champions through leadership, international exchange, and civic education activities. LEAD Mongolia fellows also work on civic action projects addressing critical issues like unemployment. These tours can be viewed on any ordinary smartphone or laptop — no special equipment is required. For a fully immersive experience, drop your phone into an inexpensive VR viewer (like the Google Cardboard viewer) and explore the scene just by turning your head! Click to explore a career in renewable energy! Bayarmaa Lkhagvadorj is an engineer from Mongolia who believes renewable energies are the way of the future. Travel with her through Mongolia to see the effects of the air pollution caused by burning coal. Go with her to a massive solar field to learn how solar panels work, and find out how Lkhagvadorj works with a local research center to provide evidence-based recommendations for stronger environmental policies. Explore a career as a training manager! Follow a day in the life of Khunshagai Baldorj, a training manager at Wagner Asia, a company that provides products and services to the mining, construction, infrastructure, and energy sectors. Find out how she helps employees build their skills through training opportunities, and how she’s provided job training to unemployed Mongolians through her work as chair of the company’s Corporate Social Responsibility Committee. Explore a career as a teacher at Mongolia’s School for the Deaf! Meet Tuul Batsuren, a history teacher at School #29 — the only school in Mongolia for deaf and hard-of-hearing students. Join Batsuren, who is deaf, in her classroom as she plans lessons and teaches class in the capital city of Ulaanbaatar. Then visit her office at the nongovernmental organization that she founded to advocate for her students’ rights to a quality education.